Without HDMI display, we can use vnc to display the Banana Pi desktop on your PC through IP. Befor use vnc, we may should know how to use SSH to login Banana Pi to use command line. We should know that the vnc is start under the current user. If we changed user account, we should again create a new vnc service under current user account. When the vnc service is created, .vnc file will produce. 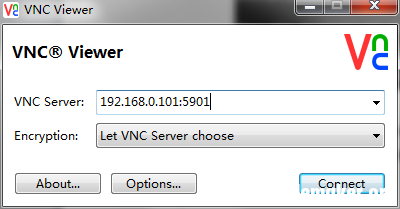 The .vnc file contains the information about vnc service. The path of .vnc is generally at [/home/username] or [/root] according to which user you are using. We can use vncpasswd command to set the password. For example, if you use root user. You can configure the vnc according the steps below. The OS is Cubieboard_For_BananaPi _v1.0.tgz. This will require you can enter a vnc password (at least 6 numbers) for the first time, and then ask you it you like to enter a view-only password(y/n), enter n to pass. We can check whether the vnc service is set up successfully. The default pot is 5901. Sometimes we should configure the xstartup script to display the desk in vnc client. We can choose which desk system session to use. We can edit the xstartup script to enable different desk sessions. a) Gnome. Then most powerful desktop session. b) X-Window. Then simplest desktop session. c) Xfce 4. Linux like desk session. And the start vnc service again to make the modify work. 4. 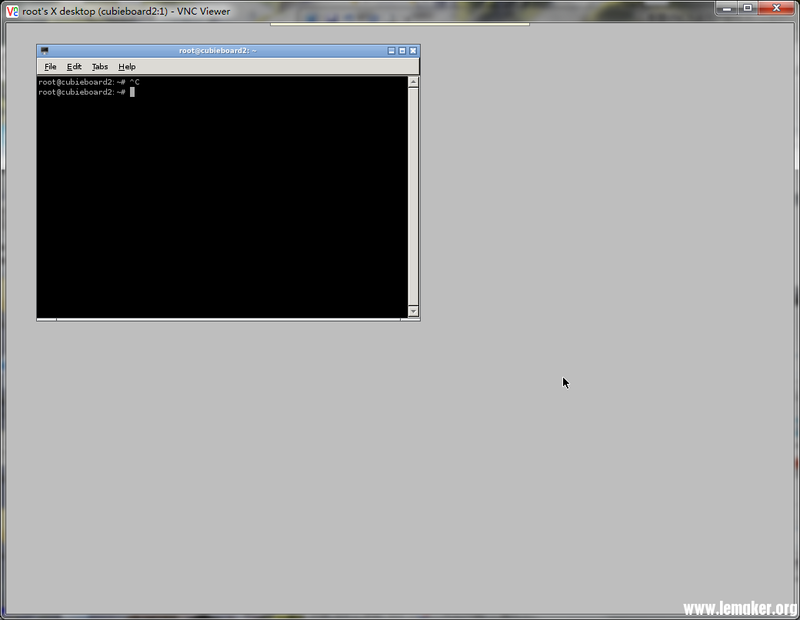 Use VNC-View on your PC to login in your Banana Pi. Enter the Banana PI IP and port. The port of desk 1 is 5901, desk 2 is 5902 … …You can use ifconfig to check the IP address. This is a X-Window display. Under X-Window, if we want to use the web browser Chromium, we should better not use root to start the vnc service. We should start vnc service under normal user and then use VNC-View to login Banana Pi. • Ordered my Banana PI (2), fingers crossed waiting! Why not use vnc4server? I think this will be better. Can I start VNC before login? I use lubuntu 3.1.1 and i configured Xresources with gnome. Is X-Server not running on Lubuntu? How to check that? i had to add the .Xauthority file to bananapi homeDir, not root! I've followed this post and Ive managed to connect from my Windows 7 laptop to my banana pi usiing TightVNC Viewer. All is running okay. My question is, while using tightvnc and accessing my banana pi is the transmited data encripted? But I wonder if I should?